Cleveland Park is a self-contained town known for its quaintness amid the big, bustling city of Washington, D.C. Straddling Connecticut Avenue, Cleveland Park is situated in northwest D.C. It boasts suburban-style settings with a dense strip of urban conveniences within walking distance. Equity communities keep their residents in the middle of all the action. 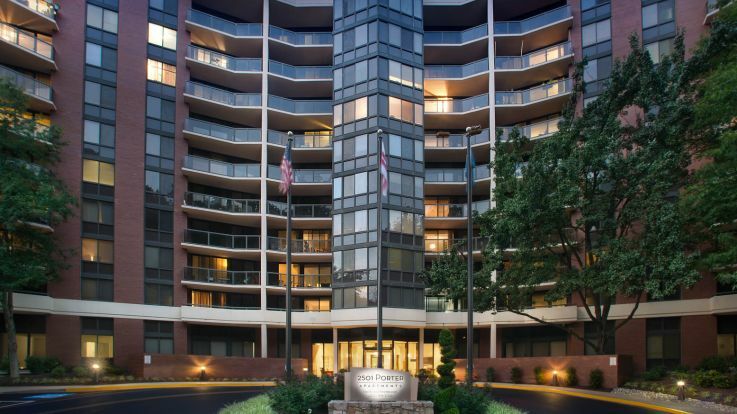 Living in Cleveland Park, D.C apartments offers residents the best of both city and suburban life. Residents can enjoy delightful cuisine from local favorites like 2Amys, Indique, and Medium Rare, and they can explore the numerous shops lining Connecticut Avenue, all while basking in the safety of a suburb. Metro’s Red Line and several bus lines traversing different areas of this neighborhood make getting around even easier. Recreation is a vital part of this town with the number of green spaces available. Residents can venture out into the Melvin Hazen Tributary Trail where 20-30 minutes of hiking reward them with a glimpse of a burbling creek, canopies of trees, and spacious picnic grounds at the end of the trail. Additionally, the National Zoological Park, home to thousands of animals, offers the perfect area to get acquainted with wildlife. The entertainment scene is alive and well in this part of the city. The historic Art Deco Uptown Theater has hosted many Hollywood movie premieres over the years. Aside from that, the theater, along with a number of historic homes on Newark, Porter and Macomb Streets, as well as the Washington National Cathedral, have stood as a testament to Cleveland Park’s rich history. The area has numerous private and public schools like John Eaton Elementary, Hearst Elementary School, and Washington International School. Similarly, universities like the University of the District of Columbia and the Howard University School of Law are just a short distance away, giving Cleveland Park its fair mix of residents. Equity’s Cleveland Park apartments offer residents a taste of everything the town has to offer. With amenities that can include club suites, fitness centers, private balconies, courtyards and swimming pools, apartments can accommodate all. People who delight in neighborhood charm and who prefer convenient, community living will find all that their hearts desire when they settle into one of Equity’s apartments in Cleveland Park.